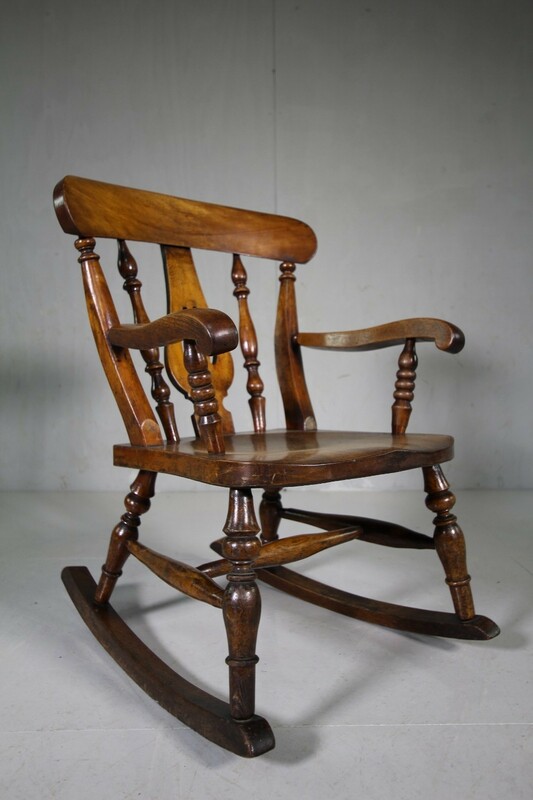 This larger than usual, English antique childs rocking chair is a superb example. 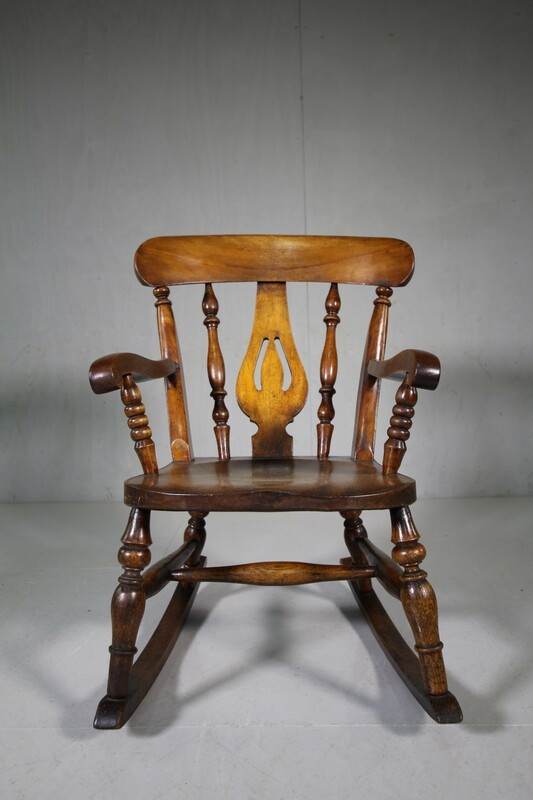 In the traditional English country manner, this beautiful childs rocking chair features a shaped and pierced back splat and spindles, all in the orignal rich finish. 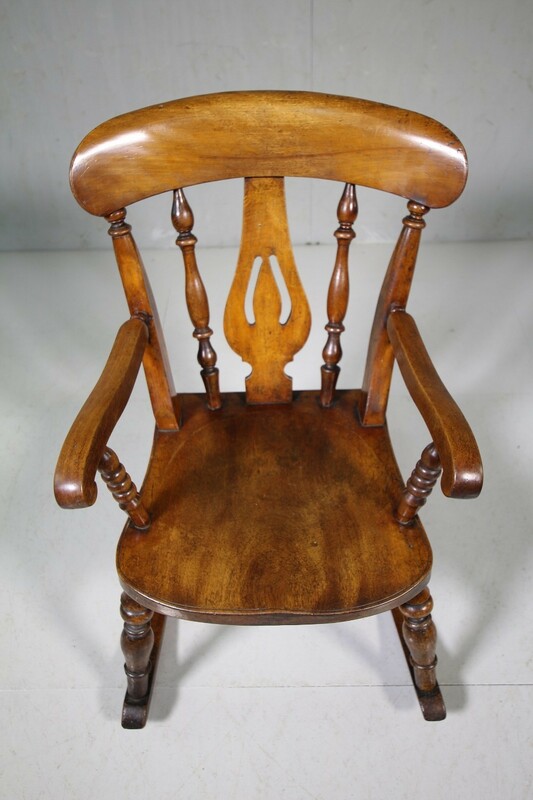 Initalled by the maker G.W, this antique rocking chiar is made in birch and elm woods and is in fabulous condition. A good size, all very robust and strong. 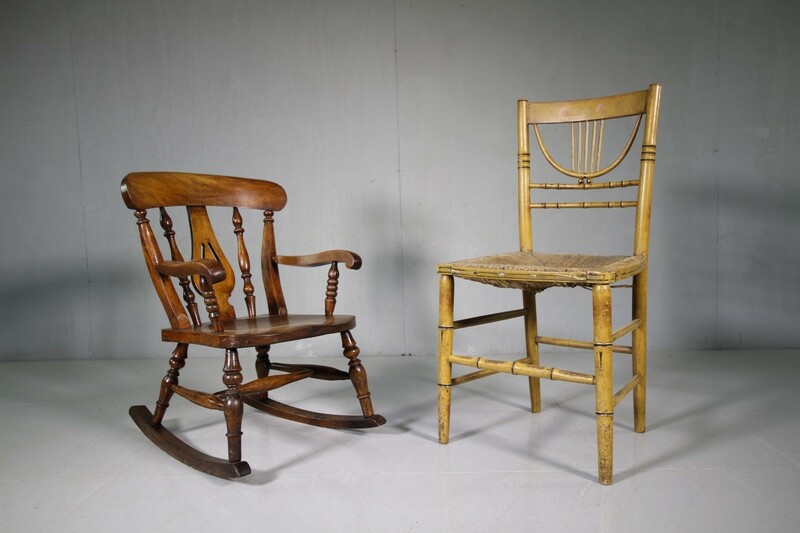 English and dating from around 1840. Additional Information: The seat is 32cmhigh.